Word of warning: This article was written for The Oxford Student website and intended primarily for an audience of current and future Oxford students, so it is rather Oxocentric. However, it should be interesting to anyone who knows the city. British films from the Harry Potter franchise to this year’s Belle have famously utilised Oxford’s dreaming spires, old buildings, and particularly the picturesque cobbled Merton Street as locations resembling other worlds or times gone by. Yet relatively few contemporary films have shot on location using the university itself as a setting and narrative focus. 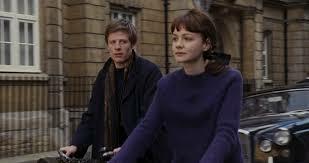 Sure, the film adaptation of Alan Bennett’s play The History Boys gives us momentary glimpses of Oxford’s aged architectural gems, and Lone Scherfig’s An Education concludes with Carey Mulligan’s Jenny cycling along Catte Street. But both of these films are more about applying to Oxford (and Cambridge in The History Boys) than actually being there. And when filmmakers do take on Oxford they don’t always get it right. The days of doddery butlers waiting on wealthy students in stuffy dining rooms, as enjoyed by Tibby Schlegel in Merchant Ivory’s Howards End, are surely behind us now, yet on the small screen ITV’s Morse is behind the times, depicting students gowned far more frequently than they are in reality. 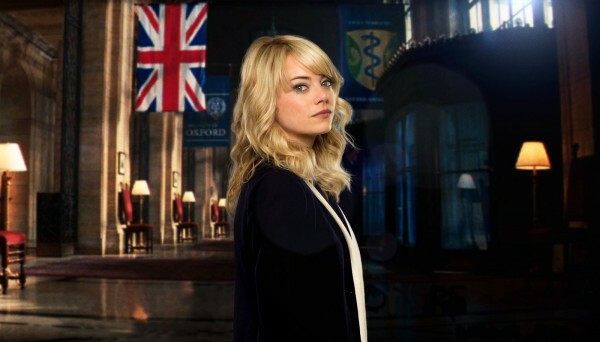 Across the pond, Marc Webb’s The Amazing Spider-Man 2 featured a sub-plot in which Gwen Stacy (Emma Stone) applies to Oxford, attending a kind of Oxford University annex centre in New York to be interviewed. For all I know this place really exists, but the holes in the writer’s research are visible in the seemingly random presence of just one college flag in the ornate foyer; Green Templeton, a college which admits only graduate students. Elsewhere in the superhero genre Matthew Vaughn showed us the young Charles Xavier (James McAvoy) flirting shamelessly in an Oxford pub in 2011’s X-Men: First Class. But before you start squealing in excitement because you might have sat on a bar stool once graced by McAvoy or his on-screen sister Jennifer Lawrence, take a closer look. Charles and Raven exit the pub and walk under the Bridge of Sighs, almost as if they’ve come down the passage from The Turf. But it is not so; the franchise created a fictional pub, The Eagle, using New College Lane for exteriors. Yet for anyone who knows Oxford’s pubs, X-Men: First Class manages to make it appear that Charles is drinking in a popular student haunt without actually entering one (just imagine trying to stuff a camera rig into The Turf). Of course this kind of artistic license is part and parcel in filmmaking, and what Vaughn and co got absolutely right is that Oxford students love a good pint. But if it’s (near) complete authenticity you’re after then, oddly, the place to look is a second-rate ‘80s movie starring Rob Lowe and Ally Sheedy just before they both hit the big time. In 1984’s Oxford Blues Lowe plays Nick, a creep who falsifies his college records so he can transfer to Oxford and seduce a young British woman (Amanda Pays) who’s in line for the throne. In terms of realism the film doesn’t exactly get off to a good start, depicting Nick driving around Oxford in an improbably large car, including an impossible circuit of Radcliffe Square. Somewhat more realistically this sequence concludes with Nick wedging his car between two buildings, having misjudged a narrow entryway to his college, Oriel. Despite the film’s preposterous and clichéd plot its portrayal of university experiences such as formal dinners and rowing culture is fairly accurate, as is the Oxocentric dialogue. Characters moan about the prevalence of rowing chat, and Nick is described as ‘coming up to Oxford’ and then later (spoiler alert), being ‘sent down’. Oxford locations featured in the film include The Bear on Alfred Street (the only pub Nick and his friends seem to be aware of), boat houses on the river and the Iffley Road Track. There’s even a matriculation scene shot in the Sheldonian, though Nick wears clothes you’d never get away with. This film is by no means good, but give it a watch if you like spotting places you know on screen, or if you just want to see Rob Lowe in a kilt. Oxford University will next star as itself in Lone Scherfig’s The Riot Club, an adaptation of Laura Wade’s play Posh. Actors Sam Claflin, Max Irons and Douglas Booth will portray Oxford’s elite bad boys. While the film’s subject matter presents the Oxford the Daily Mail seem to believe in the trailer suggests it will at least be accurate in demonstrating that this indulgent and extreme lifestyle is enjoyed only by a minority. You might also like this more general article on the presentation of university life in film. This entry was posted in Feature and tagged Alan Bennett, Ally Sheedy, Amanda Pays, Carey Mulligan, Daily Mail, Douglas Booth, Emma Stone, Harry Potter, Howards End, ITV, James McAvoy, Jennifer Lawrence, Laura Wade, Lone Scherfig, Marc Webb, Matthew Vaughn, Max Irons, Merchant Ivory, Morse, Oxford Blues, Posh, Rob Lowe, Sam Claflin, The Amazing Spiderman, The Amazing Spiderman 2, The History Boys, The Oxford Student, The Riot Club, X-Men: First Class. Bookmark the permalink. Somerville College Oxford’s flag is also there; which accepts undergraduate applications for medicine.